Research shows that 90% of companies that experience a data loss are out of business within two years; this same research also shows that only 1 in 3 small businesses have a backup and data retention policy. 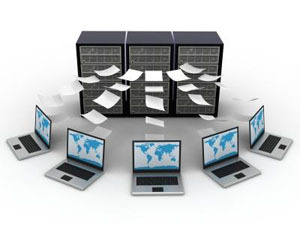 PriorityOne offers a range of backup services to meet the diverse needs of our customers. From tape rotation and off-site storage for our collocation customers to our easy to use Virtual Vault service, we offer an easy and reliable service for any customer. The Vault is an online backup service that allows you to back up your valuable computer data over your Internet connection. The Vault automates the process of backing up your data offsite. Backups begin automatically and your data is sent to and stored in two redundant storage facilities located hundreds of miles apart. Your data always remains encrypted, and always remains encrypted using a unique 256-bit encryption key that only you have. Moreover, you can restore your files as often as you need to, at any time day or night, in as easy as a few clicks of your mouse.